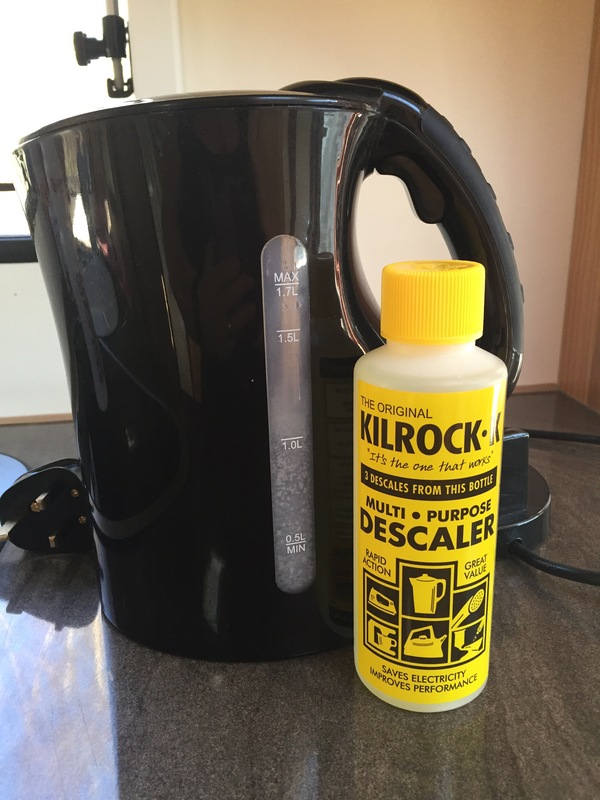 Living and doing most of our caravanning in the South East of England with a hard water supply means our kettle, over time, acquires a chalky limescale build up on the element and on the inside of the kettle. Built in filters on the spout generally do a good job of keeping little floaty residual bits out of your brew but the build up is inevitable. Recently came across a little yellow bottle of descaler and decided to give it a go. Recommended on the bottle for use on metal and plastic kettles, shower heads, coffee makers, steam irons and even toilet bowls. 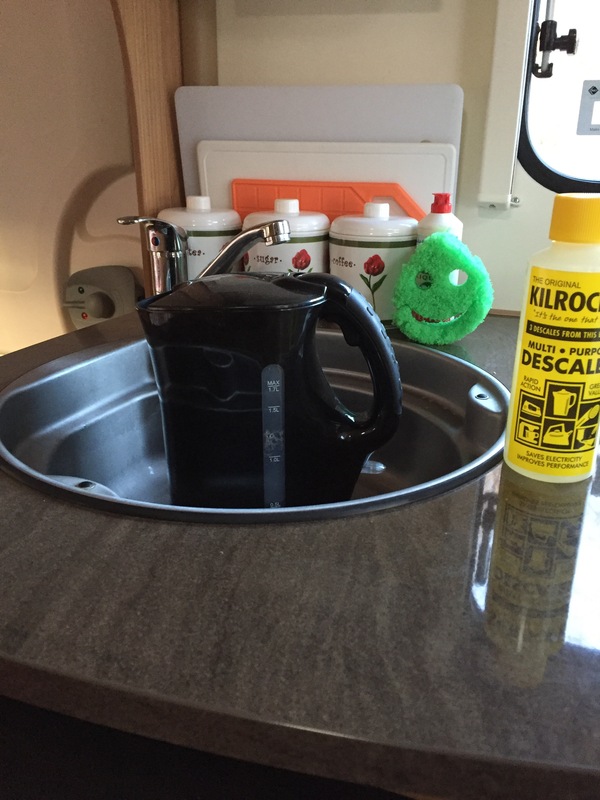 My item for today’s use is a plastic kettle in my caravan. 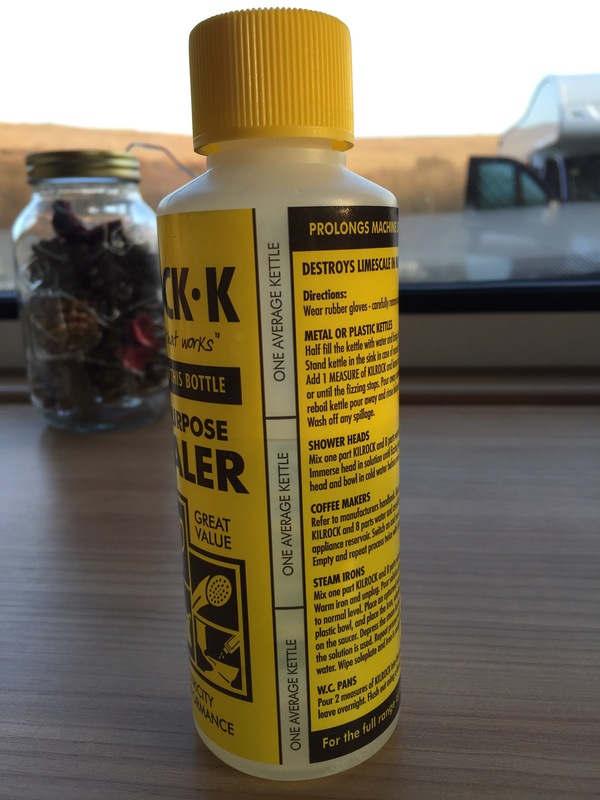 Kilrock 250ml descaler has a pre measured guide on the side of the bottle for 3 doses. In the directions the first step clearly states to wear rubber gloves. This product contains Formic Acid and can cause severe burns , so use with extreme caution. After using this product this is a step I followed and would recommend you do too. Half filling the kettle with water and bring to the boil you are then advised to stand the kettle in an empty sink, again, there is a good reason for this. Carefully adding 1 measure of the Kilrock liquid to the kettle the fizzing starts. Leave for at least 5 minutes or until the fizzing stops. Reminiscent of a chemistry lesson I found myself transported back to my school chemistry lab with the smells and sights awakening long forgotten memories. Pour away the contents of the kettle, fill it again and reboil, once again throwing the contents away . 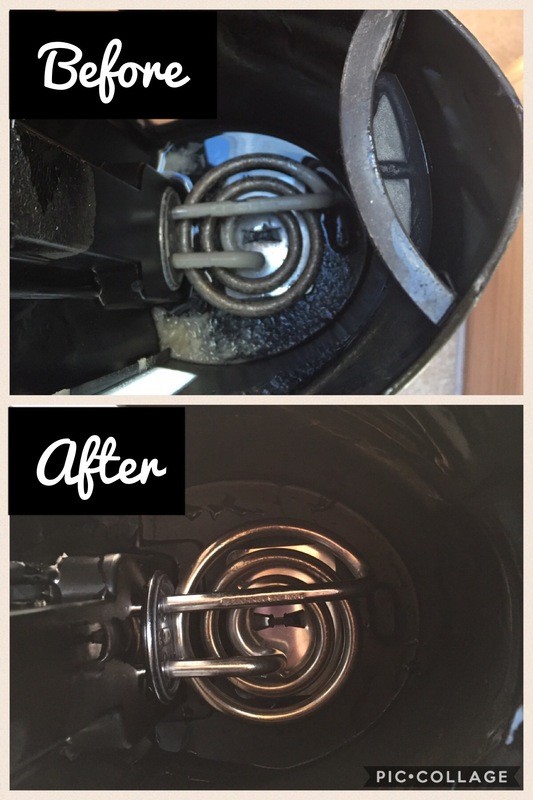 Rinse and admire your sparkly new kettle element. At approx £3 for a 3 dose 250ml bottle this seems like a good price for a product that actually does what it claims to do. This is a product that I liked and that I will keep a supply of. Vinegar does so much more than accompany salt on chips… Sarsons need to diversify. Thanks for this post. 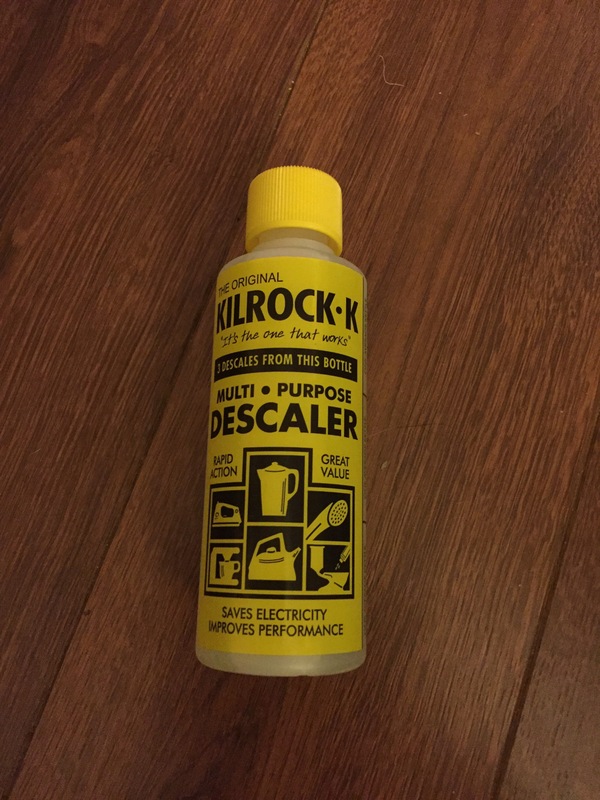 I spotted this product in Aldi today for £1.99 for a five dose bottle:) We have lovely soft water here in the north so generally don’t need it but we do have descale after we have travelled in Europe with our campervan for a few weeks.